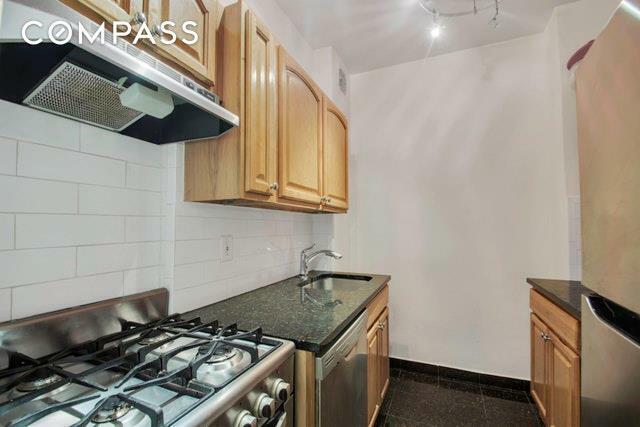 MAGNiFICENT JUNIOR 4 (3.5 ROOMS) FOR UNDER $500,000. This is a raised first floor apartment, that faces East that has wonderful morning light. It has a large living room with dining area, high 9' foot ceilings, beautifully renovated galley kitchen with granite countertops, subway tile backsplash and marble flooring, stainless steel appliances, including the dishwasher. 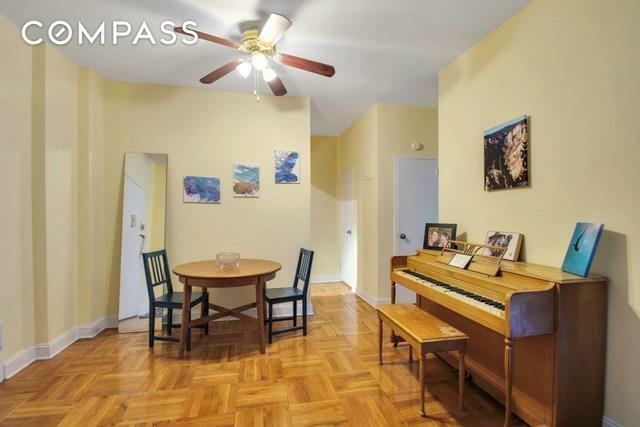 It has a large bedroom, plenty of closet space and beautiful hardwood flooring throughout. The unit has a pass-thru sleeve for the A/C. Also, this co-op building is "cat friendly" only. The co-op has an in-house gym, bike room (wait-list), storage (wait-list), garage (wait-list), common laundry room and there is a large outdoor playground area bordered by large mature trees. 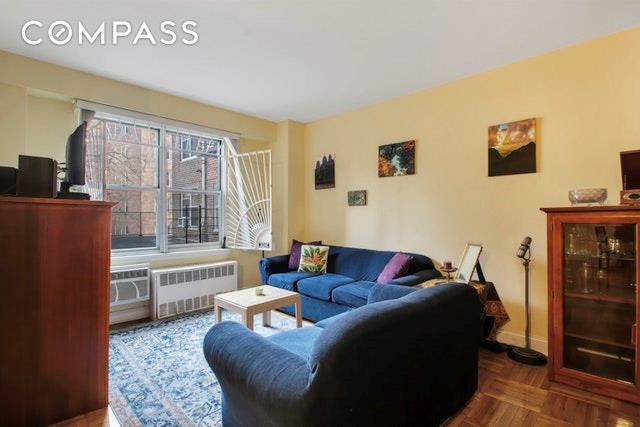 The West 187 Street lobby entrance has a part-time attendant and allows 80% maximum financing. 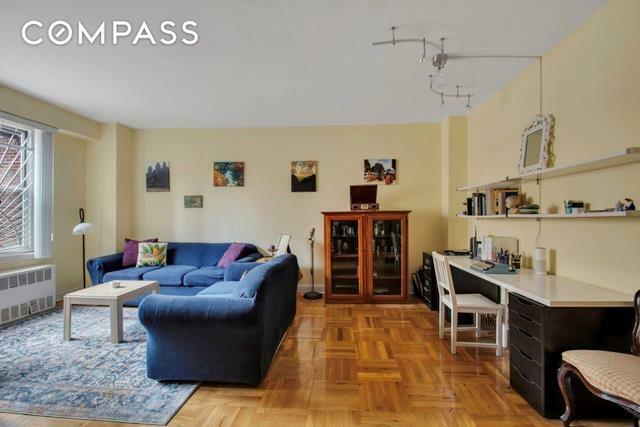 The building is located in Hudson Heights, near local restaurants/bars, supermarkets, banks, dry cleaners, upscale spa, wine/liquor stores as well as Bennett Park, Riverside Park, Fort Tryon Park, with its lovely Heather Garden, the Cloisters and so much more. Listing courtesy of Nick Rafello of Compass.